Though the cold winter months leave many consumers cooped up indoors for most of the day, a recent study explored how even brief time spent in the park can boost happiness levels. Researchers from the University of Alabama at Birmingham found that spending just 20 minutes in an urban park can improve overall mental health and well-being. To see the effect spending time in the park had on mental well-being, the researchers studied responses from nearly 100 adult visitors of three urban parks in Alabama: Cahaba River Walk Park, Overton Park, and Jemison Park. Over the course of six months, the researchers evaluated the time the participants spent in the park, whether or not they engaged in physical activity, and their emotional well-being after their time spent in the park. Participants filled out questionnaires both before and after their park visits. The researchers were most curious to see if exercising while in the park contributed to consumers’ happiness after their visit, and they found that this was not the case. This finding is important because it shows that even consumers who are unable to exercise for physical reasons would still be able to reap the emotional benefits of time spent outdoors. Twenty minutes in the park was found to be the optimal time, and the researchers found that participants who were outside for at least that long were over 60 percent more likely to report feelings of happiness and satisfaction after leaving the park. 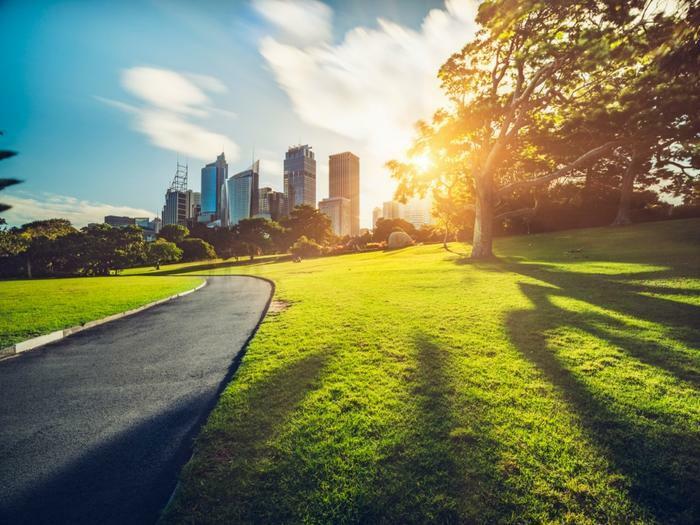 The researchers believe this study only adds to the mounting evidence that parks and green spaces are incredibly important for consumers’ well-being, particularly in more urban areas. Several recent studies have explored the benefits -- both physical and mental -- that consumers gain from spending time in green spaces. From a health standpoint, city kids with asthma suffer less when they live near a park, while heart disease was found to drop when there were more green spaces in neighborhoods. Similarly, spending time outdoors was found to boost quality of life for elderly people. "Accessibility to everyday green and blue spaces encourages seniors to simply get out the door. This in turn motivates them to be active physically, spiritually and socially, which can offset chronic illness, disability and isolation,” said researcher Jessica Finlay. How do smartphones affect your child’s happiness?